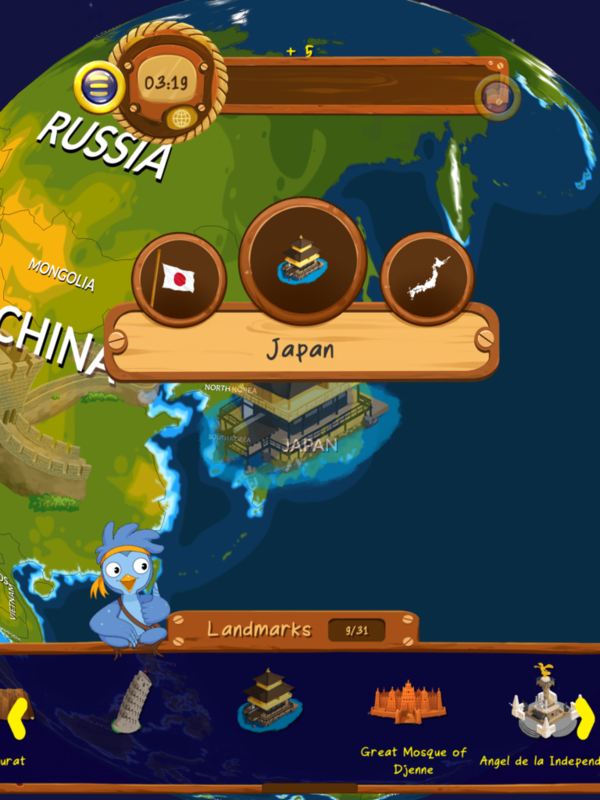 Description: Pocket Planet is a children’s game which turns our planet into a puzzle. Playing as Joko, children help find Joko’s missing alien friends that have gotten lost while exploring earth. To find the aliens players can fly around the world, match up countries, race against an alien friend, and solve clues pin-point the locations of these creatures. Players can collect these creatures and earn stickers for special achievements. It will be available on Android and iOS devices. Skills and Ideas Taught: The challenges in the Adventure mode are all based on the Australian Curriculum, Assessment and Reporting Authority (ACARA) standards for our target demographic’s year levels. By integrating the ACARA content into the challenges, not only is their depth increased, but also the game becomes more appealing to teachers and parents as a product of quality screen time. Learn about celebrations from around the world (ACHASSK065). Goal or Challenge: As the player completes levels in the Adventure mode they will collect Ucis, many with unique appearances. these will then be sent back to the Tree house where the player can visit them. In the challenges mode the player will get stickers for achieving set feats of skill such as completing challenges fast, getting high scores, and passing levels. Assessment Approach: The players skill is measured through time and scores presented at the end of each level, and through the collectables in the game. The score and time presented is used as a benchmark for performance on levels when compared to previous performances or that of others.